At 10:30 P.M. on November 13,  the silence of another moonless Afghan night was disturbed by the thrumming of a single [MC-130] Combat Talon’s four turboprops 800 feet above the desert about fifty miles southwest of Kandahar. From the plane tumbled forty dark shapes that floated to earth in a matter of seconds after parachute canopies blossomed above them, barely visible against the night sky. The parachutes belonged to thirty –two [US Army] Rangers from 3rd Battalion’s B Company and an eight-man [US Air Force] 24th STS [Special Tactics Squadron] element. Their mission was to seize a desert landing strip named Bastogne and prepare it to receive two Combat Talons, each loaded with a pair AH-6 Little Bird gunships, a mobile forward arming and refueling point, and the pilots and other personnel to man them. The Little Birds were then to fly off to attack preplanned targets. Bastogne was the Rangers’ second combat parachute assault of the war, but unlike the seizure of Objective Rhino, this mission was most certainly not a propaganda exercise. There would be no Pentagon press briefing about it, ever. Rather, the Bastogne mission was the latest step in a campaign of deception and destruction Task Force Sword had decided to wage across southern Afghanistan. The details of that campaign would remain secret for years, but even the broad brushstrokes had not been imagined when, with the Gecko and Rhino raids finally out of the way, the staff on Masirah [an island southeast of Oman, memorable to American special operators because it was a staging base for the failed Eagle Claw mission to rescue Americans at the embassy in Iran in 1980] pondered Sword’s next move. There was no long-term plan. Everything was seat-of-the-pants decision. “After we did this first mission, we went, ‘All right, what are we going to do now?’” said the retired special ops officer. The first days after the October 19 mission saw a flurry of administrative activity as the task force conducted after-action reviews and prepared for the arrival of [General Tommy] Franks, who secretly visited Masirah and the Kitty Hawk October 22. The Delta [1st Special Forces Operational Detachment-Delta, tier one US Army special operators] elements on the Kitty Hawk quickly returned to Masirah, but Brown [a secretive Army intelligence unit known by many codenames], Team 6 [SEAL Team 6, US Navy tier one operators], and Ranger elements remained on the ship. Possibly as a result of meeting with Franks, Dailey issued new guidance on October 22 instructing Sword planners to draft “a campaign plan” with missions centered on Kandahar. Operators and planners on Masirah brainstormed. Delta personnel resurrected their 1998 plan to ambush bin Laden as a basis for planning new missions. Key to the original scheme had been landing Combat Talons on one or more dry lake beds around Kandahar. “We determined that we could land large fixed-wing aircraft (C-130s) on the dry lake beds in the middle of the night without anyone seeing or hearing us,” [Delta Lt. Col. Pete] Blaber wrote of the 1998 effort. Before Sword could launch any such missions, Dailey apparently had a change of heart. In the first week of November, he ordered the task force to start planning immediately for redeployment to the United States. By then it was clear that, enabled by 5th Special Forces Group, the CIA, and U.S. airpower, the Northern Alliance’s campaign against the Taliban was gaining traction, leaving JSOC, supposedly the United States’ premier special operations organization, on the sidelines. Aghast that JSOC might leave the theater with Al Qaeda and Taliban leaders—and thousands of their forces—still at large, Blaber and others of like mind put together a few concepts on the fly and forwarded them up the chain. Somehow they persuaded those at the top¸ Dailey included, to allow them to proceed. “Only because they were so beaten down and in such dire straits with . 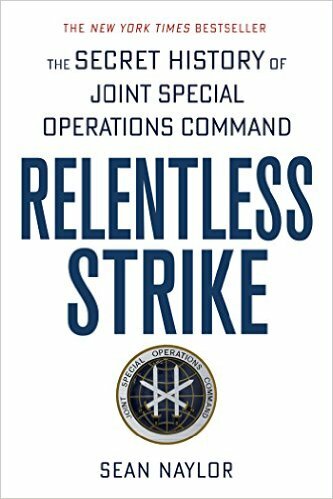 . . CENTCOM did JSOC headquarters go, ‘Okay, we’re willing to try anything’ and turned the whole thing over to us for those next few days,” said a Delta source. “At this point the staff of our higher headquarters was ready to approve just about anything we brought to them—and they did,” according to Blaber. “Anything we wanted to try for years, we finally got carte blanche to do it,” said another Delta source. For once, JSOC unleashed the power of the operators’ imaginations. In short order, they produced concepts with two aims: to “develop the situation”—in other words, to gain a deeper understanding of the situation on the ground—in southern Afghanistan, and to convince the Taliban that there was a greater US presence along the southern stretch of Highway 1 (the ring road that connects most major Afghan cities, including Kabul and Kandahar) than there actually was. The latter aim meshed perfectly with Dailey’s penchant for deception operations. Unlike the unconventional warfare campaign being waged by Special Forces and the CIA in northern Afghanistan, which involved tight coordination with the Northern Alliance, Sword’s operations in the south were unilateral missions. Rather than taking and holding territory, the intent was to distract the Taliban and prevent them from concentrating their forces in Kabul and Herat. Although the ultimate goal was to clandestinely infiltrate teams of operators, the first fruits of the brainstorming sessions required no boots on the ground. A couple nights after Dailey announced that Sword would be going home, a series of parachutes dropped from a Combat Talon flying over the hills outside Kandahar. Attached to the parachutes were large blocks of ice. The idea was that once the parachutes landed the ice would melt and the chutes would blow across the landscape until someone found and reported them, sowing seeds of paranoia in the Taliban’s minds as they wondered where the paratroopers might be. “We later learned that the phantom parachute drops not only confused the enemy, they also terrorized the enemy.” Blaber wrote. Within a few days of the ice block deception, the dark shadows drifting to earth were real operators, conducting some of the most daring missions JSOC had executed in years: high-altitude, low-opening (HALO) freefall jumps. Although glamorized in video games and movies, actual combat HALO mission — in which operators jump from as high as 34,900 feet and freefall for as long as roughly two and a half minutes before opening their parachutes just a few thousand feet aboveground — are rare. When a reinforced team from Delta’s B3 troop (B Squadron’s reconnaissance troop) HALO’d in northeast of Kandahar to call in airstrikes against the Taliban, Tom Greer, at the time a major in Delta and commander of A1 Troop, called it “the first nighttime combat HALO . . . parachute jump since the Vietnam War.” The “death-defying” jump was “one of the riskiest missions” of the war, said a Delta source. “It had everything: cold, night, the unknown, high winds, all that stuff,” he said. The team’s mission was to establish an observation post in some high ground near the road. But it immediately went awry when Christopher Kurinec, nicknamed “CK,” was badly hurt as he landed. Kurinec had “jumped the bundle,” meaning that in addition to his own gear he had the team’s “bundle” of supplies (usually water, ammunition, and medical kit) strapped to him when he jumped. Because the extra weight increases the speed at which the operator hits the ground, the bundle makes an already difficult task that much more awkward. For that reason, the operator with the bundle is usually one of the team’s most experienced freefall jumpers. Despite Kurinec’s injury, the team drove on with the mission, climbing to the place they had picked out for their observation post and in the process discovering an operator from a previous generation had apparently shared their assessment of the spot’s usefulness. “They got up into the side of the mountain there, set up their OP in a little cave overhang, and they found a can from a Soviet K-ration, which at the time we imagined very likely was a Spetsnaz [Soviet special operations] guy who had been in the same cave, same OP,” said a Delta source. All these jumps were done to enable the arrival of Combat Talons bearing a mobile ground force or Little Bird gunships. These missions followed Delta’s rough operational concept for 1998’s canceled bin Laden raid: Talons would land on dry lake beds, then offload wheeled vehicles, operators, and AH-6 and MH-6 Little Birds. Such was the case with the Bastogne mission. Special mission unit operators (almost certainly from the 24th STS) had scouted the landing strip ahead of the Rangers’ jump, while the Regimental Reconnaissance Detachment HALO’d in ahead of the main Ranger body and stayed until the B Company paratroops landed, according to [Ranger Sergeant Major Walter] Rakow. “That was the first HALO operation in a combat environment that they had done,” he said. Some HALO missions were a precursor to mounted Delta operations. “They’d set up the landing zones, make sure they were straight, make sure they were good,” said a JSOC staff officer. “Then you brought the Talons in to bring the mobility guys in.” The “mobility guys” were manning Delta’s Pinzgauer six-wheel-drive combat vehicles. These rugged machines could carry a payload of almost 3,300 pounds cross-country, had a range of about 435 miles, and featured a variety of weapons on forward, center and rear mounts. Delta had been using Pinzgauers for years and was constantly working with the manufacturer to upgrade the. The Pinzgauer missions “weren’t raids, they were insertions,” the JSOC staffer said. “They spent a week on the ground then we pulled them out” using Combat Talons or Chinooks. The operators’ primary mission was not blowing things up, but reconnaissance—getting the lay of the land and locating Taliban or Al Qaeda forces. So, high command (i.e. the Pentagon) didn't have a plan to involve JSOC, even though JSOC had resources ready to go for the theater? That seems incredibly careless, to me. But, not exactly shocking. Tony, according to Naylor, on the very day of September, 11, 2001, JSOC was involved in a huge joint exercise in south eastern Europe. The idea was to emulate a "dirty bomb" being smuggled into Europe off the Adriatic. SEAL Team 6 was playing the part of the terrorists and everyone else was trying to stop them. Before 9/11, that's mostly what JSOC did: big, expensive, elaborate secretive exercises. JSOC was famously referred to as the "Ferrari kept in the garage" -- meaning the unit trained relentlessly, even including live-fire exercises; but they never deployed into direct action. Or rather, they only very rarely did. After September 11th, that changed quickly. But the portion I quoted in Naylor's book was pretty early in the change.